Whether it's former boxers like Sugar Ray Robinson or Muhammad Ali, or even current boxers like Manny Pacquiao(nicknamed Pac-Man! ), there have been many well known boxers in real life. What about the video game world though, who is the best known video game boxer? Well, I think Little Mac is the best known video game boxer, and the one with the longest track record in games. Little Mac first debuted on home consoles in 1987 in Mike Tyson's Punch-Out!! for the NES, and then his career was revived in 1994 with the release of Super Punch-Out!! for the SNES. Nearly 15 years had passed since Super Punch-Out! !, when Little Mac came out of retirement and starred in Punch-Out!! 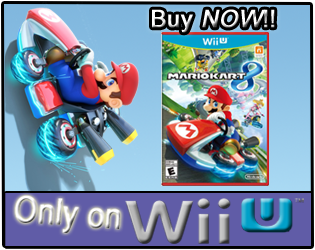 for the Nintendo Wii in May 2009. While real life boxers spend many hours in the ring during their careers, how many hours has Little Mac spent in the boxing ring with 659 days of data reported, since he returned to it in Punch-Out!! in 2009? Let's take a look! Hours are for the United States of America Wii owners, not world-wide. Punch-Out!! has approximately 156,418 Wii owners reporting their game-play data through the Wii's Nintendo Channel. 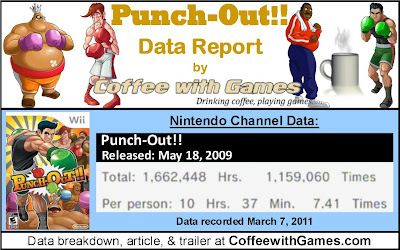 How many more players are reporting their play-time data for Punch-Out! !, since a December 2009 ,report? Punch-Out!! has seen an increase of about 87,598 more players reporting game-play data, since that 2009 report. Punch-Out!! has 1,662,448 Total Hours of game-play reported, an increase of 979,502 Total Hours in the last 463 days reported; and Punch-Out!! 's average play-time is 10 Hours 37 Minutes "Per person" reporting data. 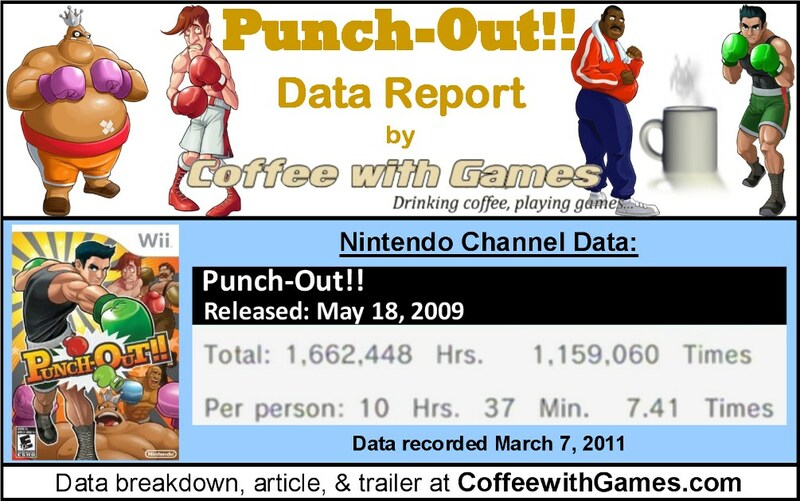 The average boxing time(play-time) per session for Punch-Out!! is just over 1 Hour 25 Minutes. Punch-Out!! 's Amazon.com sale rank is #714, and it's currently selling for $43.37 from a third party vendor. Punch-Out!! 's "professional" review score average is 87.66%, based on 47 reviews on GameRankings.com. Punch-Out!! has a 4.5 out of 5 Stars rating on Amazon.com, based on 123 customer reviews. Punch-Out!! 's customer review score average is 86.34%, when converted to a 100% review scale. A boxing match typically consists of 12 rounds, with each round lasting 3 minutes. The boxers get a one minute break between each round, so total ring time could be 48 minutes if the match lasts the full 12 rounds with a judges' decision. Based on 48 minutes for a full 12 rounds of boxing, Little Mac's average time in the ring "Per person" reporting data would be equivalent to a little over thirteen, twelve round, boxing matches. I really enjoyed Punch-Out!! on the NES when I played it as a child, and I have enjoyed my time with the Virtual Console version...even though I haven't beat Mr. Dream yet! I was excited when they announced the new Punch-Out!! 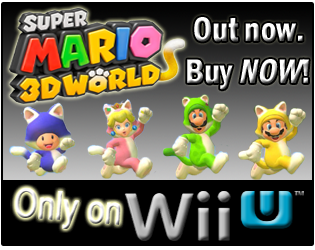 for the Wii, but after reading more about the game, it seemed to be more of a graphically updated NES Punch-Out!! for the Wii, than a fully re-imagined game for the series. I still haven't played Punch-Out!! on the Wii, but I do know they added some features to the game such as Wii Balance Board support, and Wii Remote and Nunchuk controls, as well as adding new boxers to the game's roster. The game's "Title Defense Mode" also seems like a nice addition from what I know it, basically being a harder difficulty setting that is unlocked after completing the game, with the boxers you faced earlier in Little Mac's career now having new moves, and/or defenses, to learn. While I understand the idea, "If it ain't broke, don't fix it! ", from what I know of Punch-Out!! on the Wii, it just seems like it was played safe by Nintendo, and developer Next Level Games. Perhaps I'm wrong, and Punch-Out!! on the Wii is easily worth the MSRP of $49.99? Did any of you purchase Punch-Out!! on the Wii, and think the game is worth, or not worth, the asking price of $49.99? If so, leave a comment letting us know why you think it is, and about how many hours of game-play you have gotten out of the game. If you don't think Punch-Out!! is worth the $49.99, what price do you think the game is worth? I own Punch-Out!! for the Wii! It really is a pretty good time, although I felt that there wasn't QUTITE enough replay value to justify the full price tag, but it was definitely fun, and funny! Frankly, it's worth owning it just for the immense amount of racial and national insensitivity in the game. It's hilarious. "...although I felt that there wasn't QUTITE enough replay value to justify the full price tag..."
Do you think it's more of a $30 game? BTW, if you downloaded the demo for Rage of the Gladiator, what do you think of it? This is one of those games I plan to toss a review out on. Played it, beat it up, traded it in already. I loved the original Punch Out! game - in fact it was still Mike Tyson's Punch Out! back when I first played it. In retrospect, I was probably actually better at video games then. I remember being able to beat games like Punch Out! (I had the patterns down so well back then I could go through career without a loss) and Ghosts and Goblins then, and struggling with them a lot more now. Overall, I thought the Wii version of Punch Out was a lot of fun. My kids liked it, and I enjoyed it. However, none of my kids beat it and they in fact all gave up on it due to the difficulty. I beat it, and thought the challenge mode was a good way to extend the game's life, though it - like the actual game - felt like a lot of rehashed material. The balance board was a good idea, but honestly I only dinked around with it and the 'boxing' control scheme - neither was precise enough in my opinion and I was never able to beat the game using either of those motion schemes (I could get to the last grouping, but couldn't get through it) - I had to turn the controller sideways and beat it just relying on button pressing. Honestly? I don't think the game is quite worth its current tag - like Metroid: Other M, it was a fun game, and a nice first party Nintendo title that wasn't long enough for me. Both I beat and traded in, and got pretty good value back on both, so that helped. First party titles like these two games, Kirby, Mario games - they all seem to hold their value better than most of the other games you find on the Wii on amazon, ebay, gamestop, etc (I actually still haven't played either of the mario galaxy games - keep waiting to find them used. I know I've likely done myself a disservice on that front). I got the VC version of PunchOut! but it never grabbed my interest. Much later I saw this version at Blockbuster for less than what GameStop was rebuying them for, so I picked it up to try it out and then resell. Ending up loving it so much I still have it. Haven't finished it, but that goes for 75% of my library of games. Didn't care for the balance board support, although I may not have given it a fair shot, but the visceral nature of boxing with motion controls sucked me into the game in a way the NES version simply could not. The multi-player is a fun add-on too. Is it worth full price? Hard to say, I don't think any game is worth full price unless I'm going to get endless joy from it like SSBBrawl, Mario Kart, Guitar Hero or CoD which all have 100+ hrs. But for the price I paid it for, I'm very content. Tried the demo version of Rage of the Gladiator - that was enough for me. It's okay, but I much prefer Punch-Out. "...in fact it was still Mike Tyson's Punch Out! back when I first played it." Same here. I remember my brother and I rented the game from a small local video store, probably because we knew the name Mike Tyson at the time. "The balance board was a good idea..."
Yea, I was glad to see it, but I was also hoping for some sort of WM+ support, as it was right around the corner...I know there were a few third party games that released before Wii Sports Resort did, that had WM+ support, so I was hoping that Punch-Out!! being a NINTENDO game, would use it...but it didn't happen. "I can't recall how long it took me to beat Punch-Out!! - probably less than 10 hours though." Yea, I read a few of the lower customer reviews, and one guy was saying it could be completed in 2 hours...though he didn't specify if that was the ENTIRE game including the Title Defense Mode. So you enjoyed using the Wii Remote and Nunchuk controls in the Wii version? Compared to just the button presses of the Virtual Console game? "Haven't finished it, but that goes for 75% of my library of games." I know how this is...which is why I have a New Year's resolution to complete my current generation backlog. "Tried the demo version of Rage of the Gladiator - that was enough for me. It's okay, but I much prefer Punch-Out." On Rage of the Gladiator, was it the game's setting that you didn't like, with the mythological creatures? Thank you both for the comments/feedback! If anybody else has played Punch-Out!! on the Wii, feel free to leave your thoughts on the game as well. Yeah, I think that Punch-Out!! would have been a fantastic buy had it been marketed for $30-$40. It was fun, and the production values were excellent, but it just didn't feel like $50.00 worth of game. "Yeah, I think that Punch-Out!! would have been a fantastic buy had it been marketed for $30-$40." For $30, I probably would have picked it up day one. "I DID play through the demo of "Rage of the Gladiator", and I can see the allure... I liked the skill tree idea, and I think think it adds a much-needed layer of depth." Yea, once you start getting the skill tree filled up, it's really awesome seeing some of the attacks. I haven't even made YouTube videos of all of them, just because I don't want to spoil the game before people play it...but the attacks, and knowing when to use them, can really make the difference between an Rank A, or a Rank B in a fight...even more so when trying to get a Rank S.
Also, if you don't know, Rage of the Gladiator does have a "Challenge Mode", which is like Punch-Out!! 's "Title Defense" mode, where you battle the same guys, but they have some new attacks, and are take longer to defeat. Thanks for the feedback again! If anybody else has thoughts on Punch-Out!! for the Wii, good or bad, feel free to leave them below.